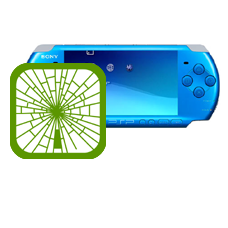 If you have broken or cracked the screen on your PlayStation Portable 3000 then you will require a complete screen replacement to bring your unit back to perfect working order. We will replace your broken screen with a brand new factory supplied unit. This is an in-house PSP 3000 repair service, when ordering this service you are required to ship the PSP 3000 into our repair centre for works to be undertaken.